Kapitza Pyotr Leonidovich (1894-1984), Russian physicist and engineer, founder and director (1935-1946, 1955-1984) of the Institute for Physical Problems of the Russian Academy of Sciences, Moscow. Nobel Prize for Physics (1978) for his research in low-temperature physics. Born in Kronshtadt near St. Petersburg in a family of a military engineer. Graduated from Petrograd Polytechnical Institute in 1919. After the death of his wife and two small children in a epidemic flu after the war and the revolution he went in 1921 to England to work in Cavendish Laboratory with Ernest Rutherford. Developed methods for obtaining strong magnetic fields. In 1925 became assistant director of magnetic research at the Cavendish. 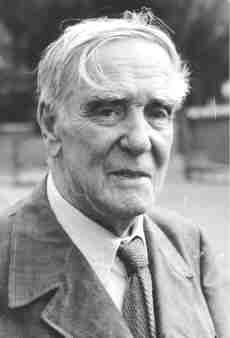 Elected Fellow of Trinity College (1925) and Fellow of the Royal Society (1929). The Royal Society Mond Laboratory was build in Cambridge specially for him, and was officially opened in February 1933. In this laboratory he invented and designed in 1934 a new original device for liquefying helium in large quantities - a prerequisite for the great progress made in low-temperature physics. In autumn 1934 when on a professional visit to the USSR his passport was seized and he was detained there by Stalin's order. He founded the Institute for Physical Problems, the equipment of which was purchased from the Mond Laboratory by the Soviet Government with the assistance of Rutherford. In 1937 he discovered in his Institute the superfluidity of helium II, and in 1936-1938 developed a new method for air liquefaction with a low pressure cycle using a special turbo-expansion device with a high efficiency. The highly efficient radial compressed gas turboengine developed by Kapitza, with an output of 80-85%, still serves as a world model for modern large-scale oxygen production plants by air fractionation using low pressure only. In 1943, during the war, organized and headed the Department of Oxygen Industry attached to the Government (Glavkislorod). In November 1945 refused to work on nuclear weapons development under Beria, and in 1946 was dismissed from his posts as director of the Institute for Physical Problems and head of Glavkislorod, and resided at his country house until after Stalin's death and Beria's arrest in 1953. He conducted there original research on high-power electronics. In January 1955 Kapitza returned to the post of director of the Institute. However, on return to the Institute he did not go back to the work on low temperatures, interrupted in 1946, but continued his studies of high-power electronics and plasma physics begun at his country house. Apart from his scientific work, P.L. Kapitza became widely known as a public figure, and greatly respected for his courage. Even in the worst periods of repression he managed to defend his colleagues, saving some of them from death in Stalin's prisons (L.D. Landau, V.A. Fock). He also publicly defended his views on a variety of subjects, from economics and ecology to the organization of science and international scientific exchange. Kapitza in Cambridge and Moscow. Life and letters of a Russian Physicist (eds. J.W. Boag, P.E. Rubinin, D. Shoenberg). Amsterdam: North-Holland, 1990. Copy of P.L. Kapitza's letter to Professor E. Rutherford, 18 June 1921. P.L. Kapitza and his machine for generating strong magnetic fields. Cavendish Laboratory, Cambridge, UK, 1925. P.L. Kapitza with his assistant S.I. Filimonov carry out an experiment with superfluid helium. IPP, Moscow, 1940.